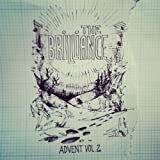 The Brilliance is a contemporary classical music duo composed of David Gungor and John Arndt, originating from Tulsa Oklahoma. The journey started in early 2009 when David became inspired to create a unique and different musical experience outside of the typical “christian music” soundscape. David teamed up with longtime friend and fellow musician John Arndt and began the creative process.